The concept of the small Family Entertainment Centre has never really taken off in Ireland, with the sole exception of Funtasia. The basic premise is an expanded amusement arcade with activities for all ages, ranging from bowling, karts, and of course a selection of amusement rides. 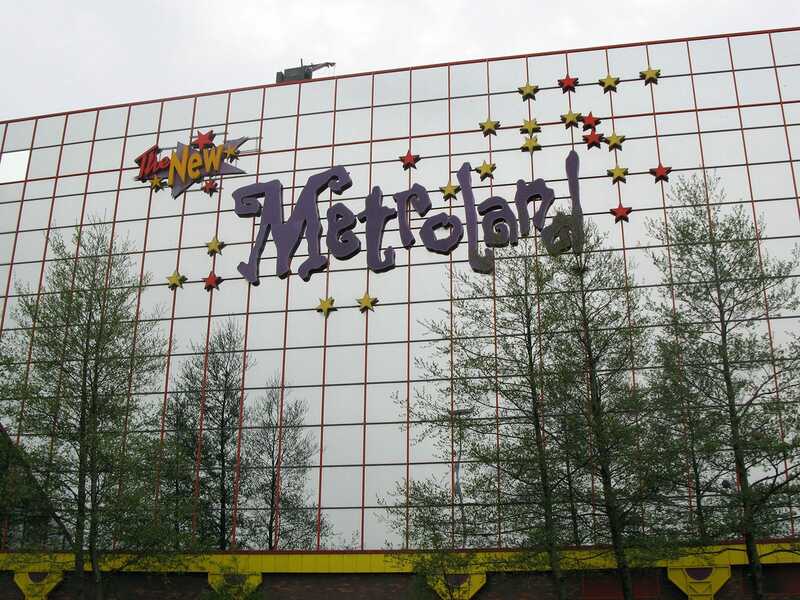 New MetroLand can be thought of as an expansion of this basic idea; it is a small but perfectly formed indoor park with a particularly good family coaster with a particularly bad name. It has been built inside a fairly large shopping centre, which makes it an ideal place to abandon your children while you go shopping. Any ride that is almost twenty years old should not have the word new in its title, but the Zierer-built New Roller Coaster (#929) unapologetically breaks that rule. At first glance the ride didn't look to be that exciting, which just goes to prove yet again that one should not judge a book by its cover. The train manages a fantastic sense of speed due to its proximity to so many other attractions. The near misses are spectacular for both patrons and observers alike; there is as always plenty of clearance, but it certainly doesn't look that way when the ride is up to speed. Ocean Beach Pleasure Park is a seaside funfair which, though lacking in any signature attractions, nevertheless manages to attract the crowds. Rides are packed into every available space, with the two coasters Big Apple (#930) and Zyklon (#931) squeezed into a tiny corner on one side of the park. Also present was a variety of spin rides from mild to wild. I particularly enjoyed my ride on the Ghost Train, a rather odd shoot-the-targets ride insofar as passengers covered the short course twice, shooting at the same (not very responsive) targets on both occasions. With a car to myself there were two guns available to me; it didn't help. My left hand hit one target across the two laps; my right hit none at all. There is no doubt that my travels have taken me to a lot of amusement parks in various out of the way places. Some have been in areas that might once have seen better days. Seaburn Fun Park, however, set whole new standards of awfulness. There were no more than half a dozen rides present at all, and of those only a few were operational. One of these was the Wacky Worm (#932). The park has a larger adult coaster under construction, but it has apparently been that way for several years. 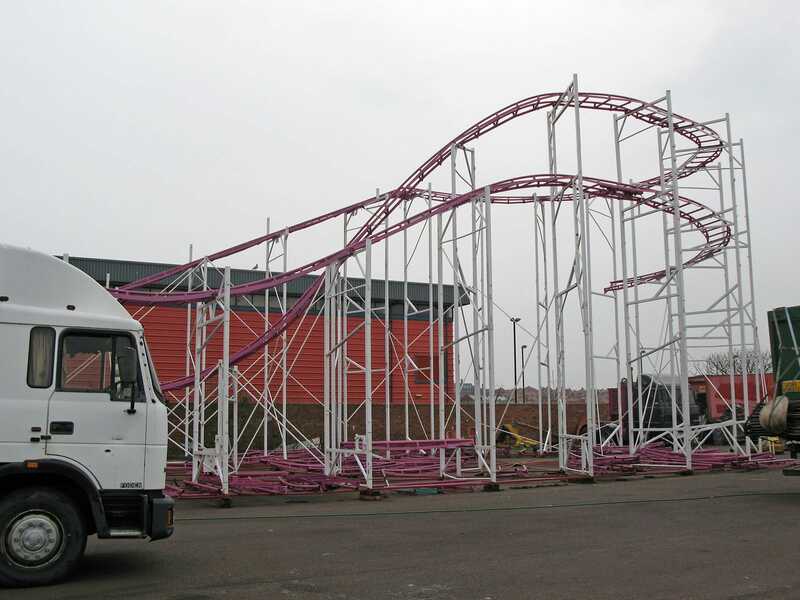 When one considers that the average travelling funfair can put up a Pinfari coaster in a few days... well, you get the idea. To borrow from the international phonetic alphabet, sierra hotel india tango hotel oscar lima echo.